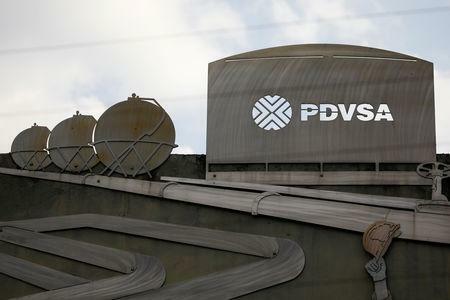 HOUSTON/MEXICO CITY/MOSCOW(Reuters) - Venezuela's oil exports have tapered off and shifted toward Asia since new U.S. sanctions began Jan. 28 as state-run oil company PDVSA seeks to replace deliveries to the United States and Europe that were disrupted by payment restrictions. 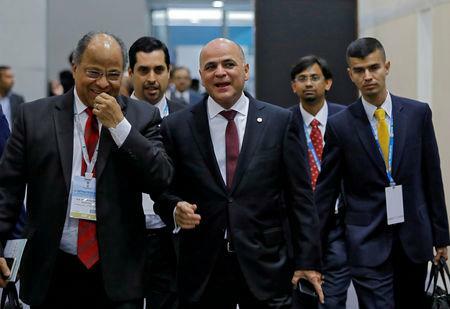 The South American nation is turning its focus to cash-paying buyers in Asia and to double its sales primarily in India, its second largest customer after the United States, amid U.S. sanctions designed to undercut financial support for Venezuelan President Nicolas Maduro. Sanctions are designed to bar Maduro's access to oil revenue that has helped his government remain in power. Two supertankers, Baghdad and Folegandros I, launched late on Monday from Venezuela's Jose terminal carrying cargoes to Indian ports, becoming the latest Asia-bound vessels to steam past a flotilla of tankers whose deliveries were disrupted by the sanctions and have remained anchored in the Gulf of Mexico and off Venezuelan ports. "They are looking for another outlet," one U.S. shipbroker said of the focus on Asia. "We are selling more than 300,000" bpd to Indian buyers, Quevedo said on Monday in New Delhi. "We want to double that amount." Reliance is among PDVSA's main cash-paying customers, while Nayara receives Venezuelan oil from one of its largest stakeholders, Russian oil-giant Rosneft . The latter supplies PDVSA oil to Vadinar, India's second largest refinery, under a Rosneft payment for loan program that dates to 2014. Quevedo's willingness to barter goods for oil suggests the turn may not soon resolve the country's need for cash-paying customers to replace U.S. buyers.